A topic focused on learning about ourselves, our bodies, food, hygiene, feelings and emotions. Bonfire Night, and Christmas, including a Christmas production. 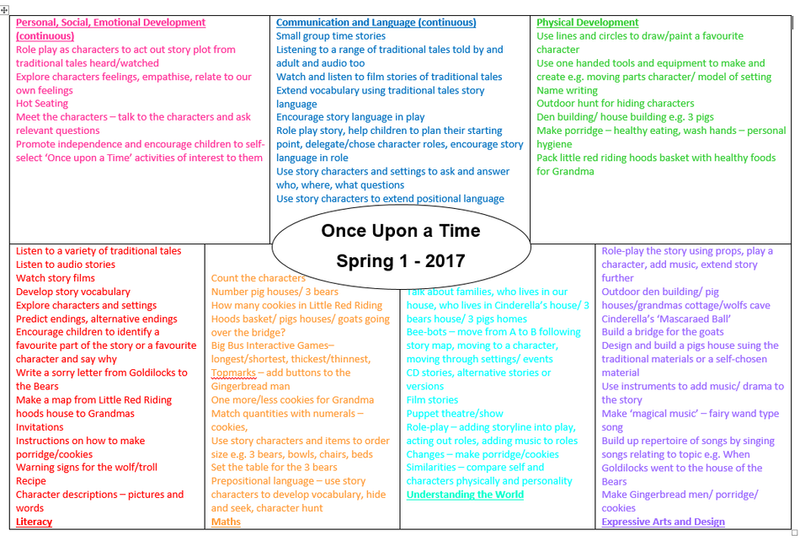 A literacy and imaginative based topic focusing on traditional tales, characters, setting and role play. A topic focusing on wild animals and their habitats. A discovery and investigative topic focusing on growing and food produce. An imaginative based topic exploring characters in modern tales. A self-celebrating topic learning all about ourselves. A literacy based topic focusing on our class author Julia Donaldson. A topic learning all about farm and other British animals. A discovery topic, searching for and looking at mini-beasts, insects, habitats and life cycles. A topic featuring creatures from under the sea.